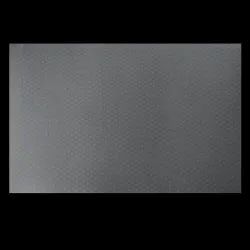 Providing you the best range of classik gloss matt binding polypropylene sheets, classik diamond design binding polypropylene sheets (0.18 mm), classik rim zim design binding polypropylene sheets, classik diamond design binding polypropylene sheets (0.20 mm), classik spiral binding polypropylene sheets and classik super diamond design binding polypropylene sheets (0.22 mm) with effective & timely delivery. 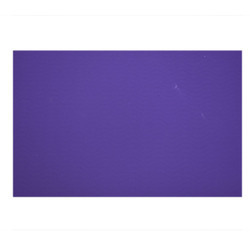 Available Sizes 9 x 12,8.5" x 13.5", 9" x 14"
Gloss Matt Sheet are one of the very common design among all the deigns of PP Sheets. This Sheets are available with us on regular basis in various sizes, colours and also in thickness. The One side of this sheets are Gloss Finish and another side is matt finish. 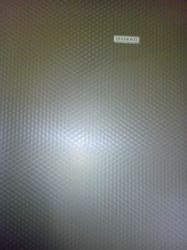 Diamond sheets are one of the most demanded sheets among all industrial sheets. This Diamond sheets are one side Gloss finish & on another side Matt finish. On the sheet the design of diamond is embossed. This Diamond sheets are available in various sizes & colours & also in various thicknesses. 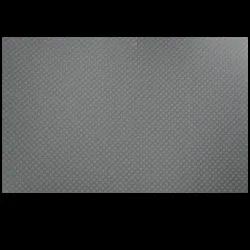 This Diamond sheets are specially available in A/4, F/C, and in A/3 Sizes. If different sizes is required by customers then also we are able to fulfill their requirements. This Diamond Sheets are available in transparent & opaque colours. 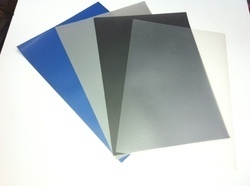 Our company manufacture and supply a wide range of Rim Zim Design Binding Sheet to meet up the market demand. 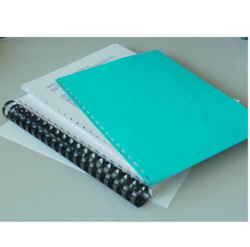 Our company manufacture and supply a wide range of Spiral Binding sheet to meet up the market demand. Lucky Plastics is one of the Leading Trading company for the Cross Line Binding Sheet.Please note for F/S , 9x12 & a33 available in Cross line , Diamond , Glossy Matt . In other Design Maximum Order Quantity (MOQ) 50 packets per colour & Delivery time 15 to 20 days. Diamond Gloss (Dia/Gloss) is one the unique, regular, & most demanded design among all the PP Sheets. The design of Diamond Gloss is used in day to day the stationery business. It stands for one side Gloss Design & other side Matt Design. The design of diamond is refelect on any one the side. This Diamond Gloss is available in various sizes like A4, FC, 9X12, A3 and also in special sizes, demanded by customers. 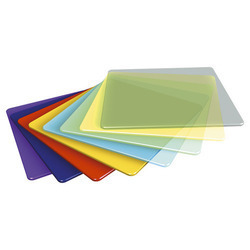 PP Diamond Gloss Sheets is also available in Transparent & Opaque colours. This PP Diamond Gloss sheets are also available for strip files, with or without creasing & punching as per the buying requirement of customers. Our company manufacture and supply a wide range of Leher Design Binding Sheet to meet up the market demand. Size A4 , 8.5 " X 13.5 "
Our company manufacture and supply a wide range of Straight Line Binding sheet to meet up the market demand. PP/PVC Binding Sheets are manufactured and export by us all across the globe. These machines are available in 20 Embossed design and are highly demanded by our respected clients. We highly testify these machines at various levels before shipping it for the final delivery. These machines are easy to operate and maintain. PP Sheets are one of the basic and very popular sheets which is used for office & stationery purpose. PP sheets are nothing but Polypropelene Sheets which is also used for industrial purposes. This PP sheets are one of the product which is available with the wide range of designs in various colours with different thickness. PP Sheets are also available in different sizes like A/4, F/C, A/3, 24X36. Other sizes are also available with the special request of customers.